The perfect introductory training for our consultants to complete before stepping on the shop floor. For those with no prior experience of the beauty industry, the training touches on all the key points to ensure they have a high level of understanding of the products they are selling. For those who have worked within the beauty industry before it is a perfect refresher of the key learning points. The content is easy to digest and means that the consultants can complete the training in a time effective and cost-effective manner. Highly recommended for anyone looking to work in a sales role within the beauty industry. It has given our staff a sufficient overview and introduction to retail cosmetics and fragrances via a concise and effective learning tool. We highly recommend this training program to all our staff and clients in the industry. Lagardère Travel Retail train the staff online because the training provides the flexibility to our team to learn when , where and what they need. It’s also delivers learning at a pace to suit each person’s individual needs. I really enjoyed taking the course and found it entertaining and kept my attention throughout. It was absorbing to be honest. I was a little nervous each time I did the quiz – hoping I was going to pass as some of the content genuinely did test me. The content is truly relevant to a Beauty Advisor working in a retail environment and I will be recommending to my Esprit Magazine readership of BAs and managers of BAs subscribe to Red Scout training. RED Scout’s Fragrance Express Course is comprehensive, educational and user friendly. It touches on the fundamentals of Fragrance and is great for all new BAs whom I do not have the time and resources to train immediately, due to the wide geographical location of my markets. The course therefore helps me to train our PUIG exclusive beauty consultants on demand quickly and effectively. RED Scout’s courseware uses simple and easy-to-understand language that can be easily understood by BAs of different nationalities. The Q&A modules, good reviews and recaps help to re-enforce their learning. I really appreciate the great aesthetic layout of all the learning modules. Needless to say, the detailed progress report is helpful in letting me know my beauty consultants’ weakest link. This course provides great content for new Beauty Advisors who have little / no fragrance experience or training. The online fragrance course is all very relevant to the Beauty Style Advisor role. It provides very detailed and in depth content, which allows you to ask detailed questions of your customers. I enjoyed taking the fragrance training I found it really interesting and helpful – I even used it for creating my own fragrance training notes. Just letting you know that (course) is TOTALLY awesome and completed Red Scout Training today. Practical and easy to apply on floor when engaging customer, especially FAQs and fragrance wheel learning, highly recommended for all new hired fragrance staff. Fragrance layering is instrumental for new staff and builds confidence for link selling on floor. Fun and easy to learn as an induction course. 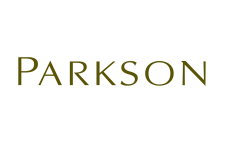 Red Scout assisted Parkson with the development of a customised 'Star Service' program to track training across all staff and stores in Malaysia.